The question has been popped and congratulations received. 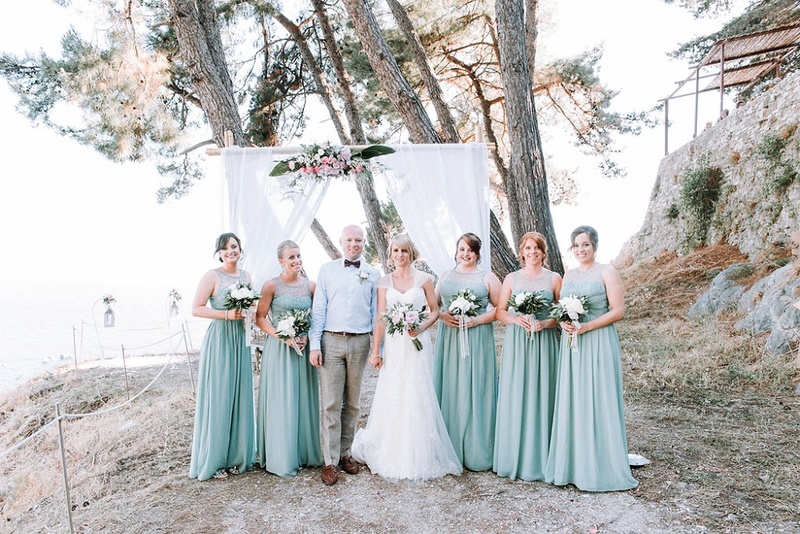 You have your heart set on saying, ‘I do’ in Greece; surrounded by olive trees, with cloudless blue skies, brilliant sunshine and views of the sea. But where do you begin? If you are finding the logistics of planning a Greek wedding from abroad a little overwhelming, be it a different language, understanding documents required or struggling to find the wedding elements you need – I am here to help. Every couple has a dream wedding, something reflecting their personality and love perfectly. It is my firm belief that no two couples’ vision is alike, so your wedding and planning experience should be one-of-a-kind too; something unique to you. Together we will create your day, from finding the perfect venue and suppliers, right through to processing your paperwork, and deciding on your décor and styling . After many years in the industry, I pride myself on working with only the best suppliers in the area. These luxury suppliers work tirelessly together with myself to tailor all aspects of your wedding day to suit your personality and style. Contact me today and we can discuss how I can help bring your vision into reality. Whether it’s on a hill top over looking the sea, followed by dinner in a beautiful restaurant. Or perhaps you’re thinking of a luxury villa with private catering after? I offer full planning services to make your Greek elopement dreams come true. Although every Greek wedding I create is bespoke, each and every couple I work with gets comprehensive, full-service. I cover everything from selection of venues and suppliers, to paperwork and on-the-day transport for guests so you can relax and focus on enjoying your celebrations. If you are planning on treating your guests with events and celebrations on either side of your big day, together with my team I will plan each and every event with the same style, vision and passion as your Greek wedding day. I will ensure that your whole series of events is beautifully coordinated so you can relax and focus on creating special memories with all those you love.